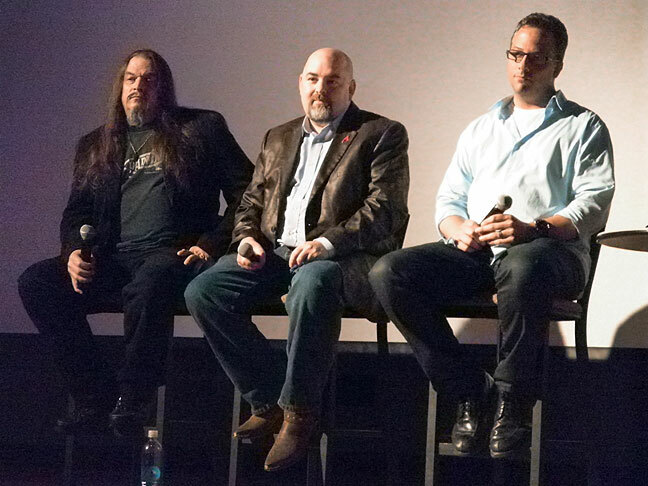 The Unholy Trinity: AronRa, Matt Dillahunty and Seth Andrews. 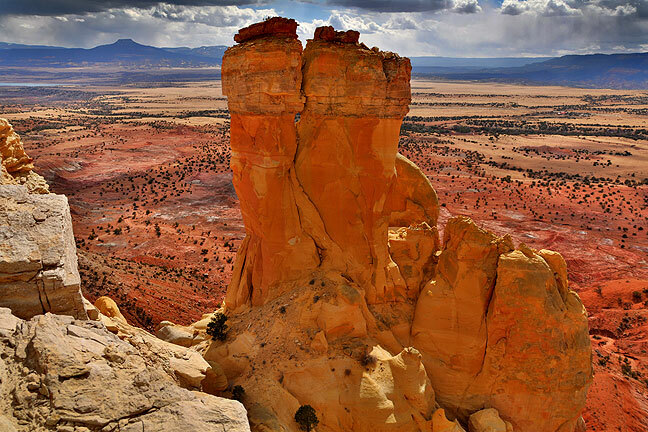 I have just returned from an excellent hiking and imaging trip to New Mexico. Look for the trip report on The Traveller in a few days. I timed my departure so I would be at West Texas A&M University at 1 p.m. last Saturday, March 22, for an event in the form of a short lecture from three speakers followed by a question-and-answer session, followed by a period of handshaking. The speakers were three outspoken atheists I’ve followed for some time on YouTube: AronRa, Matt Dillahunty and Seth Andrews. They called their event The Unholy Trinity Tour. I sat through their speeches. As I expected, AronRa was pretty good, Matt was excellent, and Seth was the former radio performer I expected him to be. Their speeches all make their points quite eloquently, but I was disappointed by the fact that they didn’t give me anything new. Their presentations were simply condensed versions on the same things they talked about for years on YouTube. I was also troubled by my perception that it is easy for them, and for me, to mock and deride and belittle theists, and their presentations bore out my concern without fully addressing those issues. I was initially concerned about my attire (hiking), but when I arrived I realized, as I should have anticipated, that most of the guests were college kids and former hippies. There were about 100 people in attendance. Almost all of them were white. There were ten questions from atheists and four from theists. I was glad I was able to attend, but only because it was on my way. If anyone asks me if they should attend such a meeting in the future, I would be inclined to tell them to skip it and look at their videos instead. For anyone wanting a taste of the upcoming trip report, here is an image of Chimney Rock at northern New Mexico’s Ghost Ranch. I’ve noticed this on both sides… Even an open, willing non-believer attending a church service would remain unconvinced, because the preacher is stuck in his own paradigm and can’t fathom how it looks or sounds to someone unfamiliar with the program. And even a doubting, thinking religious person can hear the most brilliant atheist and not grasp the context. And for what it’s worth, I have a series of blog entries — years in the making — that I hope to finish within the next couple of years, detailing my own path from accepting Christian child to doubting-but-fanatical teenager to preacher to backslider, and then the following 10-15 years that it required to fully divest myself of religious trappings. FWIW, two of the three speakers last weekend are former fanatical Christians. It’s now getting close to complete — less than a year after I first wrote that comment. Instead of blog entries, it will be pages on my website. Even while preparing these pages, I’ve changed my position more than once. It is difficult, because of who I was and who I am still related to.